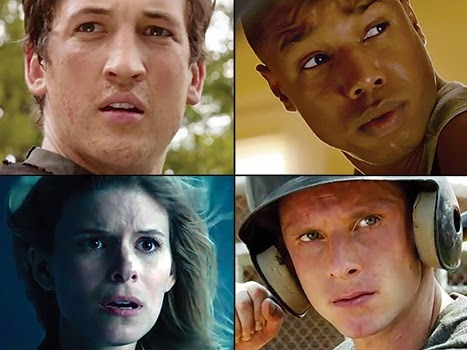 The first trailer for the upcoming reboot of Fantastic Four was released today, and it looks like it's going to be a good one! The film, set to be released August 7, stars Michael B. Jordan as The Human Torch/Johnny Storm, Kate Mara as The Invisible Woman/Sue Storm, Miles Teller as Mister Fantastic/Reed Richards, and Jamie Bell as The Thing/Ben Grimm.The villain in the reboot will be Victor Domashev/Dr. Doom, portrayed by actor Toby Kebbell. The trailer was very vague in terms of the actual plot, but I'm sure another trailer will come out soon that explains a little more of what we can expect. I'm going to see this for the action, of course, but more specifically for Michael B. Jordan!!! What do you think of the trailer? Will you be going to see Fantastic Four in theaters?